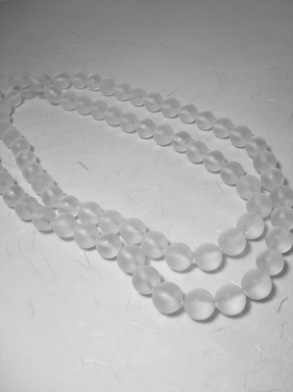 Rock Crystal Quartz is an amazing gemstone that is the most abundant gemstone throughout the Earth's crust. 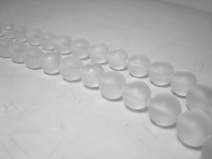 When the Earth was originally being formed the crystalline matrices were infused with light and sound that we now know as life force or healing energy, and this energy is contained in the crystals of Rock Crystal Quartz most abundantly. 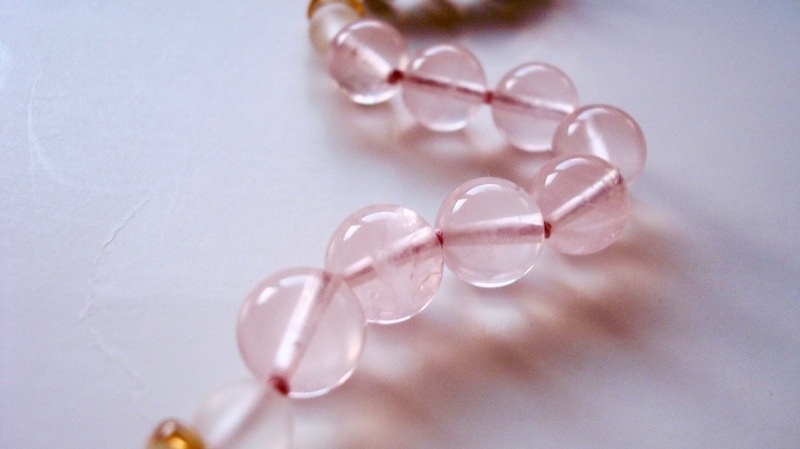 When you wear this gemstone, cut in a spherical shape and not surrounded by metals, you attract even more life force to the planet and it passes through your own aura in the process. 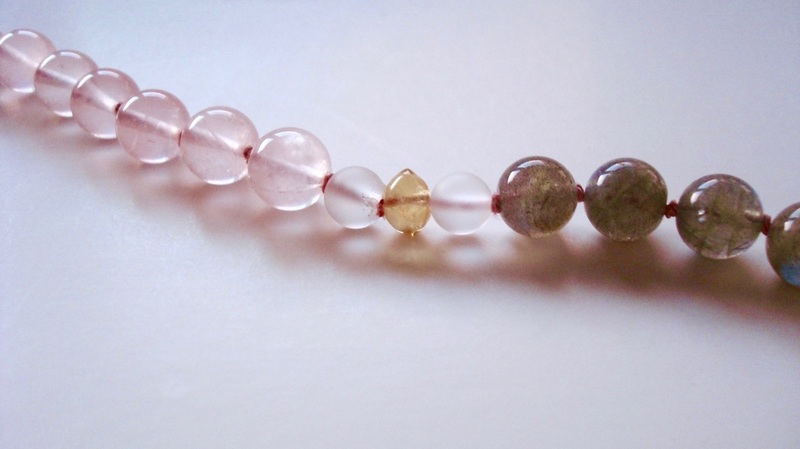 All chakras become balanced, enlivened and brought vitalizing energy that keeps you feeling refreshed, alert and clear on your activities. 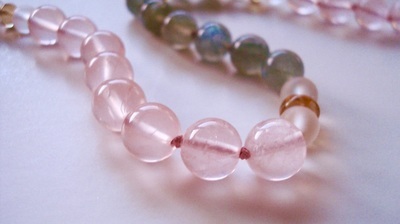 The more balanced you are, the more you are able to receive greater amounts of life force from Source. Your physical systems are enlivened and refreshed as well, as they can now receive a balanced flow of energy from the corresponding chakra. 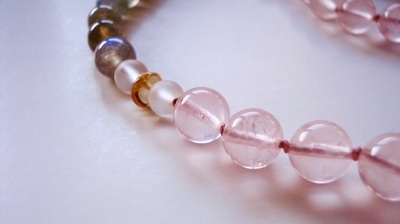 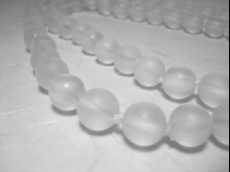 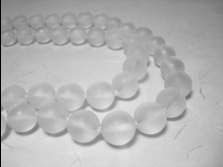 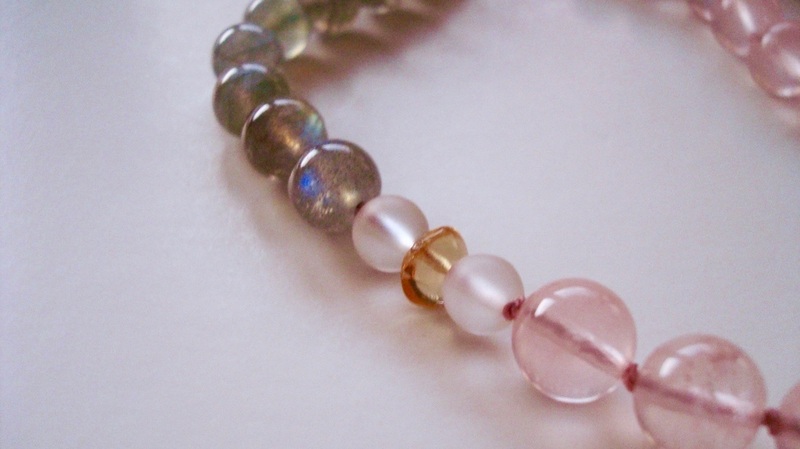 As you continue to wear Quartz, you may find your telepathic abilities improving, especially with other Quartz wearers. Available in varying lengths and bead sizes. 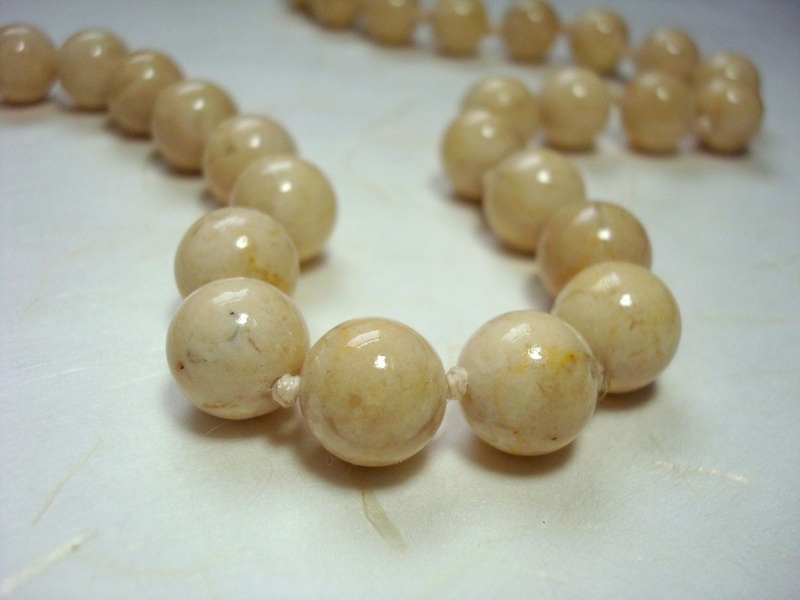 Whatever you are focusing on intending for your future will come to you more quickly when you wear RiverStone spheres. This earthstone assist in raising the vibratory rate of your aura and all that is held within it. 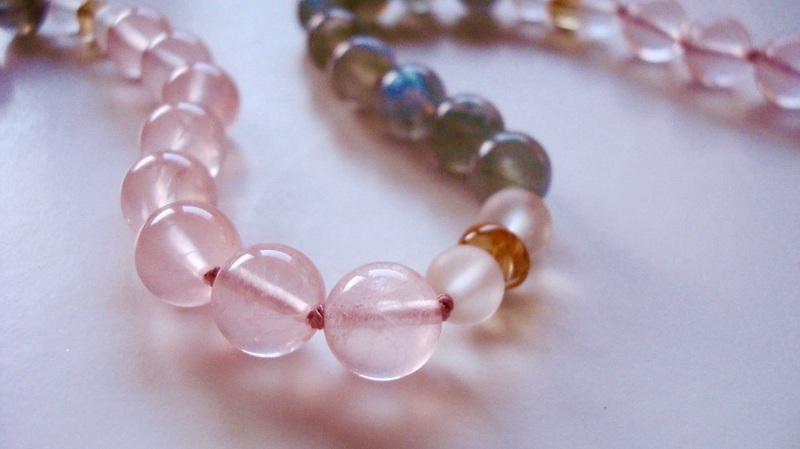 It is important to have a specific intention - whether it be healing, professional growth, expansion of your awareness or accelerated growth in general - in order for RiverStone to share with you it's most powerful effects. 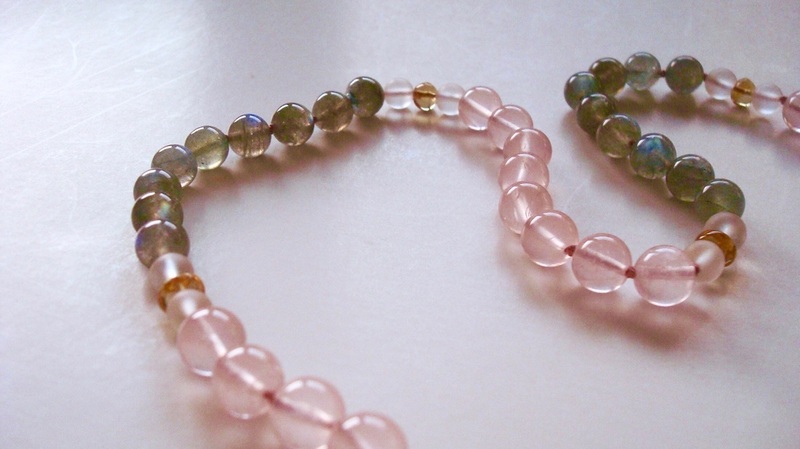 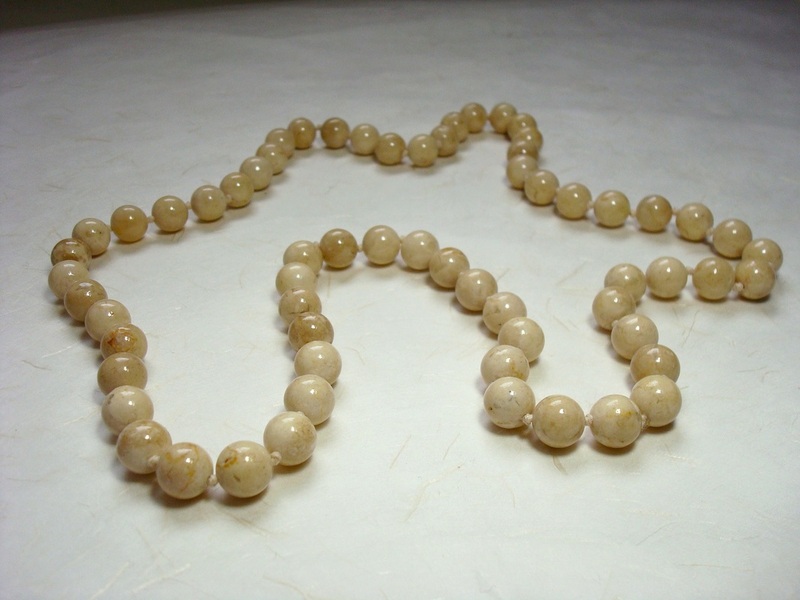 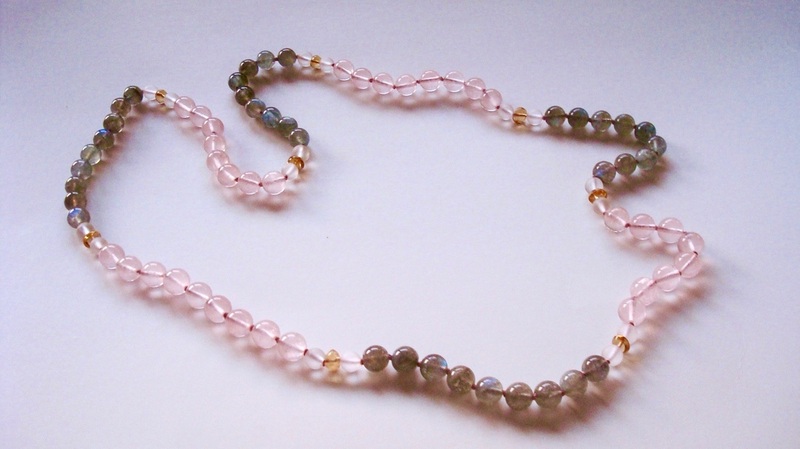 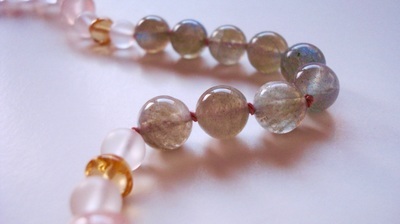 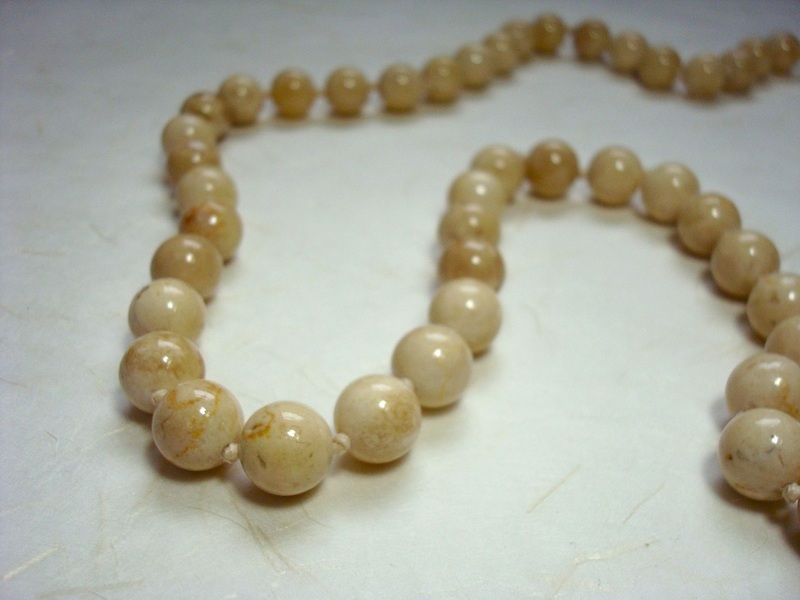 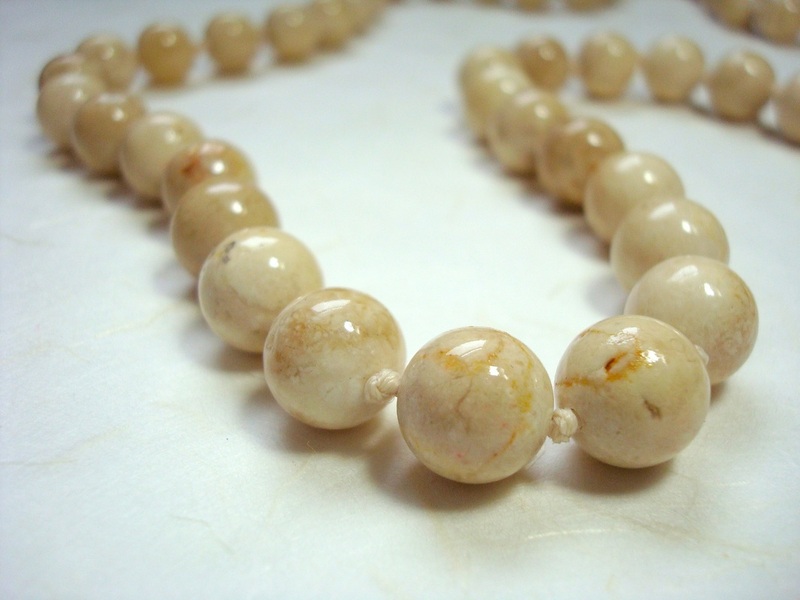 RiverStone can easily be worn with another gemstone to accelerate and speed-up it's purpose within your consciousness. Especially helpful if the changes you are intending are not coming to you swiftly enough. 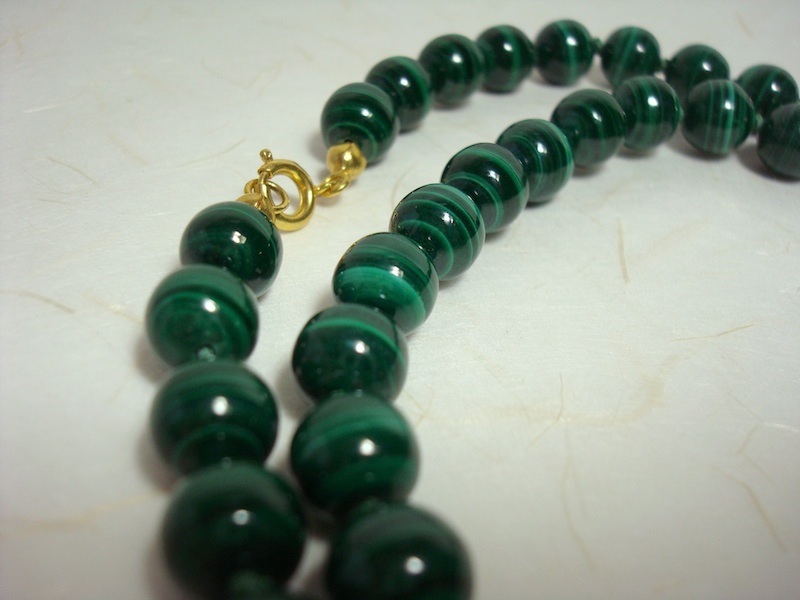 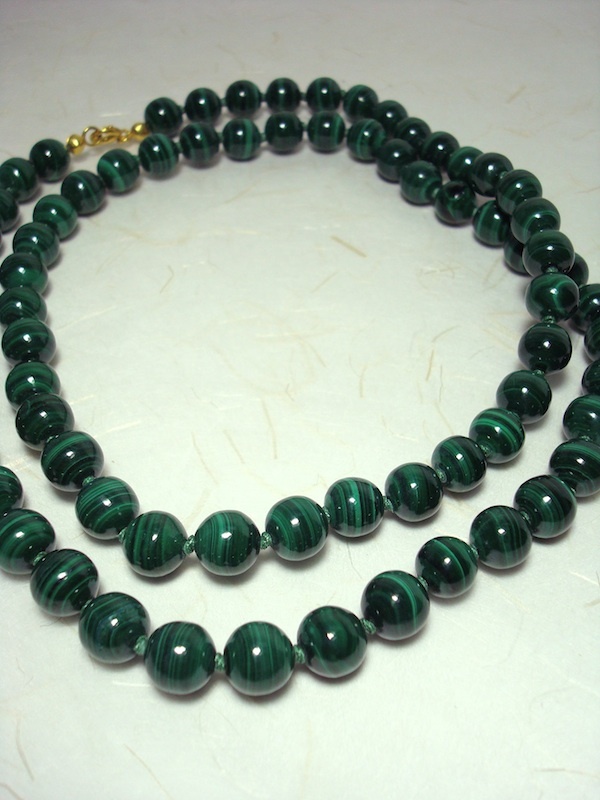 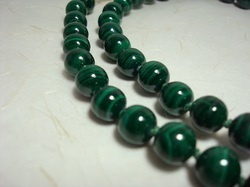 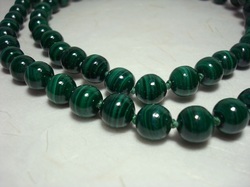 The striated bands within Malachite are like the waves of energy it sends out to collect information and return. 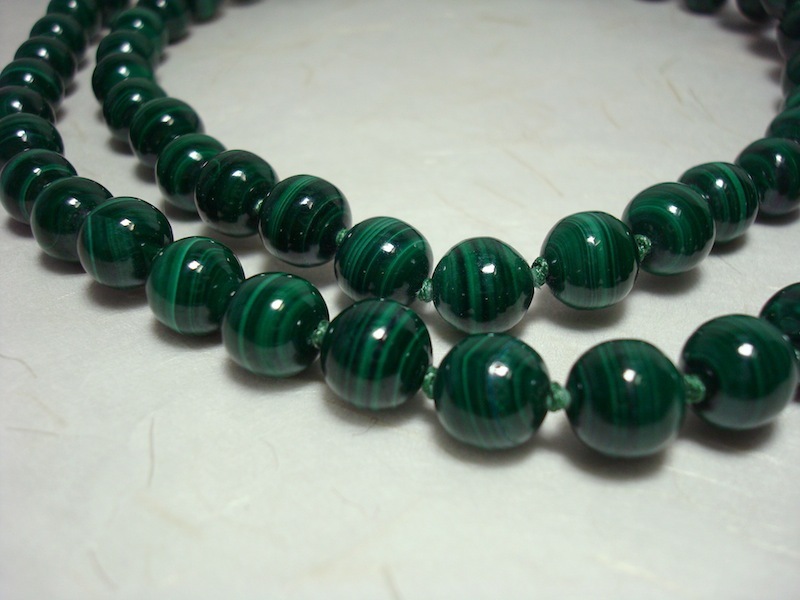 The waves go out to collect information about the Earth, and also about your body; therefore, Malachite can serve the wearer with two purposes: collecting information and harmonizing the systems of the body, and collecting and sharing data about the Earth. Within your body, shared information between all cells can help alleviate distress experienced in certain areas. Congestion can be cleared, old injuries relieved and information around other areas of concern will be brought into your awareness, allowing you to make adjustments in your health habits to support positive change. 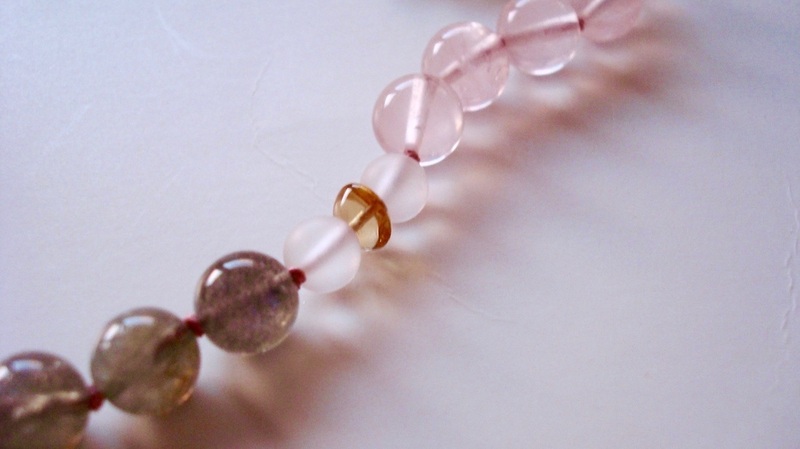 With all of your cells communicating and cooperating together, your body can literally sing in a vibrational tone consistent with multiple harmonies. 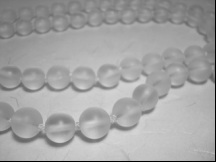 Those who meditate or have a regular spiritual practice will find a greater facility at reading the Akashic Records or gaining helpful information about the Earth and her history.